I'm so excited to bring you this new series of interviews and solo shows about how to grow your business in the wellness industry, and how to be well as a wellness entrepreneur. So a big welcome back to all of you long time listeners and a huge hello to our new followers. I'll be sharing today some of my observations on the new trends in the industry and thoughts on how we can all do better, and stand in a way that's meaningful, soulful, and impactful. Starting off with my own ... See More example how and why some stereotypes I noticed in the industry triggered me and made me think how much of that is coming from the outside pressure of being the perfect example of what you are teaching and helping people to become, and how much of it is coming from within me and my own insecurities. 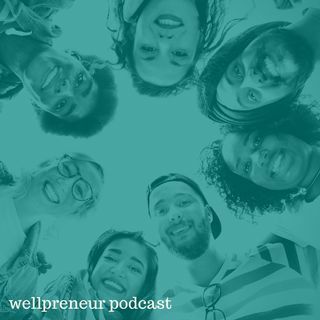 So the focus of today's episode and this entire season actually is that the wellness is for everyone, and how we'll all be so much more successful if we're really being ourselves, vs. trying to be the perfect instagram idea of a wellness entrepreneur.